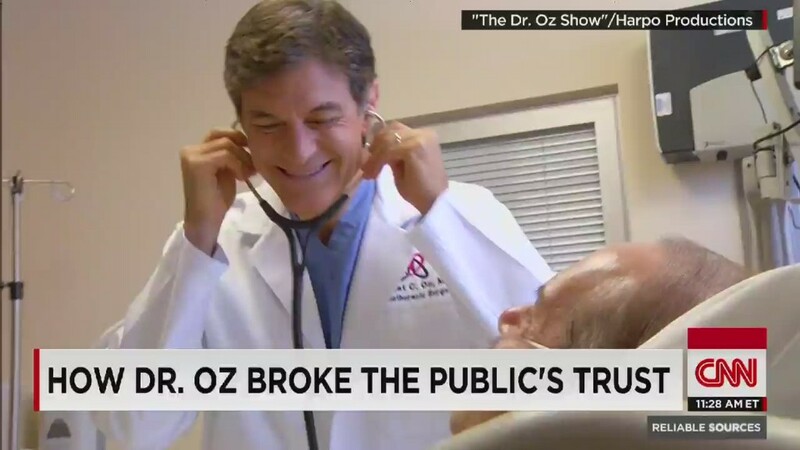 Is Dr. Oz at odds with the Hippocratic Oath? Dr. Mehmet Oz is preparing a special episode of his daytime talk show to address criticisms by doctors who claim he promotes "quack treatments." Ten physicians recently wrote to Columbia University challenging Oz's position as a faculty member at the university's college of physicians and surgeons. The letter said Oz has an "egregious lack of integrity by promoting quack treatments and cures in the interest of personal financial gain." The episode will likely air on Thursday. Oz won't just read the one-paragraph statement he issued last Friday. Instead, he'll devote the majority of the episode to his response. "We plan to show America who these authors are, because discussion of health topics should be free of intimidation," a spokesman for the show said. The details, including the Thursday air date, are subject to change. The episode will be taped on Tuesday or Wednesday. Oz's television segments and product endorsements have been scrutinized many times before, including on Capitol Hill. A Vox.com feature about Oz, published last week, asserted that "his departures from evidence-based medicine have gotten more extreme as he's become more famous." On occasion Oz has stepped back from past statements made on the show. Perhaps the most notable example involves green coffee extract, which he had covered as a potentially "miraculous" weight loss aid. Critics seized on that claim. "Recently the authors of the peer reviewed research paper on which our coverage had been partially based formally retracted their study," Oz said in October. "While this sometimes happens in scientific research, it indicates that further study is needed." This time, Oz's response will be much more pointed. On the show, he may explicitly speak about the doctors who sent the letter and their credentials. The special episode "is the last thing we want to do," a person associated with the show said on Sunday. But Oz and his representatives have concluded that it is necessary because of the "intimidation" they perceive from the doctors. In his initial statement on Friday, Oz suggested that the doctors have "certain agendas which distort the facts." The doctors' letter to Columbia had specifically accused Oz of "baseless and relentless opposition to the genetic engineering of food crops." Oz portrays himself not as opposing genetically modified foods, or GMO, but as a proponent of better labeling of them. Oz and his representatives feel he's being targeted. CNN reported Saturday that an Oz spokesman "sent an email to CNN Friday night listing the names of five of the 10 people who complained about Oz. The email questions the integrity and even the qualifications of those who are pointing fingers at Oz." "The Dr. Oz Show" reaches about 2 million viewers each weekday, according to Nielsen ratings. Oz is also the face of a magazine called The Good Life and he has an active web site listing all of his product sponsorships. Dr. Bob Arnot, a former chief medical correspondent for NBC News, said on CNN's "Reliable Sources" on Sunday that the doctors who signed the letter "have industry ties." "If you look carefully at the letter, what it's really about is that industry is furious that he has taken on genetically modified crops," he said, calling the letter writers "industry henchmen." At the same time, Dr. Arnot critiqued some of the programming on Oz's show. "I think they do a lot of good, but it's my view that they don't need to go down this road of promoting products that really are unproven," he said.